Deciding to have a dog will be a great addition to your family. Dogs make great companies, being devoted, loyal, and loving creatures. They will love you unconditionally and will always welcome you home like you are the last person on Earth. But, they must be educated, because they can develop unwanted habits. One such habit would be biting. It is unpleasant for your dog to constantly grab you with his mouth when you want to play with him or when you want to pet it. It is even more bothering when he starts pulling on your clothes as you pass by. And, in the wrong circumstances, it can even get a dangerous habit, when the dog can bite and injure people. All of these happen because of a reason and the Doggy Dan Online Dog Trainer will help you solve this puzzle. Doggy Dan is actually a very appreciated and experienced dog trainer from New Zealand. In order to make his dog training courses available to people around the world, he created the Doggy Dan Online Dog Trainer, which will allow any dog owner to access highly useful information. Such information will help you, the dog owner, raise an educated dog, which will be the perfect companion. Biting, for instance, is a rather common problem in dogs, especially in young dogs. Puppies usually bite because they are teething. Just like our children, when they are born, a set of temporary teeth will emerge in their first months of life. Around the age of 4 months, these baby teeth will start falling out, allowing the stronger permanent teeth to grow in. When this happens, the gums of your dog are painful, itching, and swollen, so they will feel the need to chew on something to calm down. 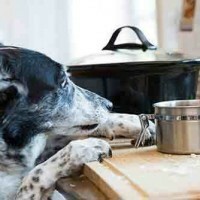 SEE ALSO: Who Says You Can't Teach An Old Dog New Tricks? If this is the case, and you have a puppy that is going through the teething period, all you have to do is get him something to chew on. There are special puppy toys and bones that you could give him, which will be accepted to chew and bite. You should be firm when telling him “no”, each time he goes for your hand, and praise the dog when playing with the toy you gave him. Also, if the weather outside is warm and sunny, you can use a clean piece of cloth, soaked in water, and placed in the freezer until it freezes solid. The cold ice will be hard enough while also helping the young dog calm down his sore gums. 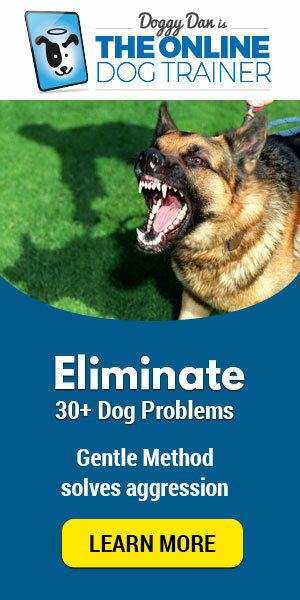 But, in case your dog bites out of other reasons but teething, you may have a serious problem. There are many causes that can lead a dog to biting and you need to identify the cause if you want to know how to stop your dog from biting in the right manner. The Doggy Dan Online Dog Trainer covers all the causes behind dog biting problem and offers solutions to how to train your dog and get rid of this unwanted behavior. Doggy Dan helped so many people enjoy a peaceful life with their dogs, guiding them and teaching them how to become respected pack leaders. 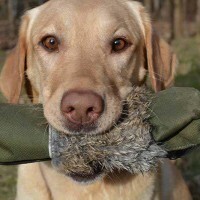 A Doggy Dan Online Dog Trainer is all you need to see that this website has the answers you need, when it comes to dog training.